Eighty-four catalytic concepts to stimulate your thinking, stretch your mind and help you calibrate the healthy tension between where you are and where you want to be. Our life journey is a mosaic of experiences, encounters, interactions, and ideas. What happens on our journey makes up the stuff of life and determines the outcome of the adventure. Most of what has been written about the journey, life and success deals only with the internal factors we can influence. Outside Influences, a refreshing, stimulating new book with a different point of view, also addresses the dynamic forces swirling around outside of ourselves that affect the direction and ultimate meaning of our lives. This elegant, complex choreography of inside and outside forces is not something to be feared, but to be acknowledged and understood. 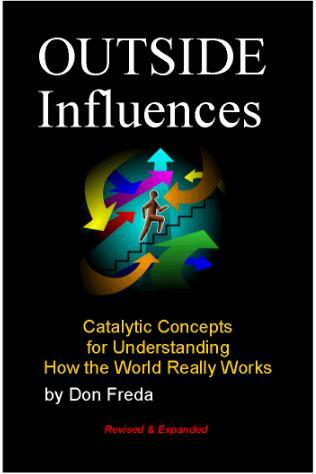 Outside Influences contains eighty-four catalytic concepts to stimulate your thinking, stretch your mind and help you calibrate the healthy tension between where you are and where you want to be. Outside Influences is not just about gaining more success—it’s also about coming to peace with some of the contradictions so apparent in life. When the idiosyncrasies of the system manifest themselves, you will understand what is happening and then be able to appreciate the bounty or cope with the challenges. 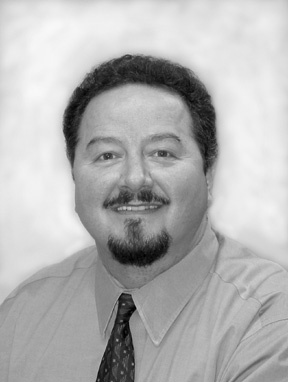 Don Freda is an accomplished serial entrepreneur, consultant, and speaker. He has launched several successful corporations, one of which continues to produce annual sales in excess of five hundred million dollars.